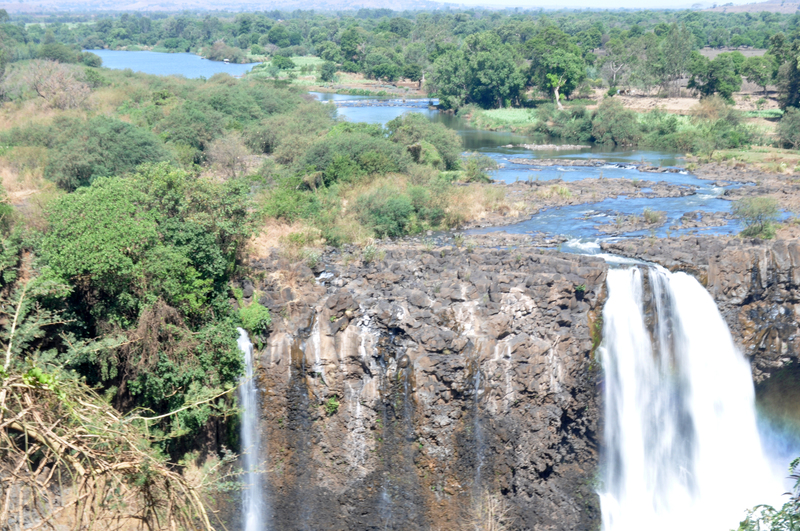 Sudan would end up being the northern most country we would visit on our African odyssey. 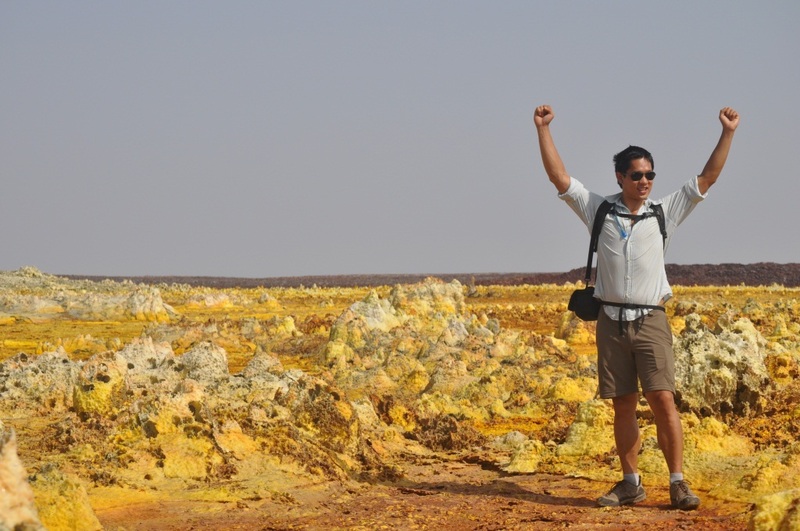 With time and declining bank balances, restrictive Egyptian import laws, and the Syrian conflict staring back at us, we made the difficult decision to turn the PPE around and head back for Tanzania. Kathmandu it wasn’t; nor was it Istanbul, nor Cairo. 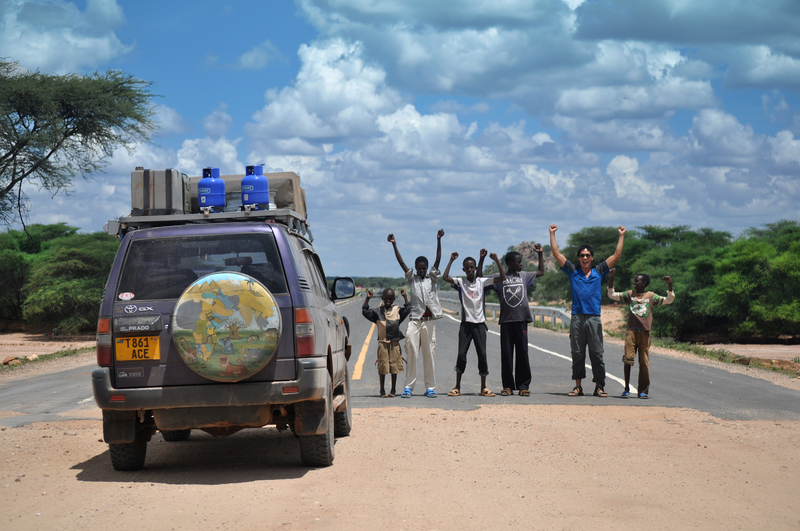 But a 32,000 km, 10 month trip across Africa it was, and what an adventure we had had. 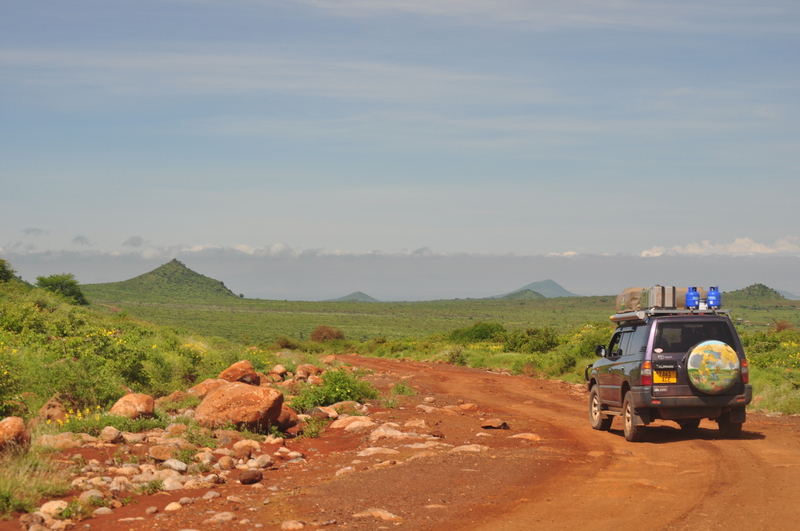 We drove the barely believable 4,000 km back to Tanzania in around three weeks. 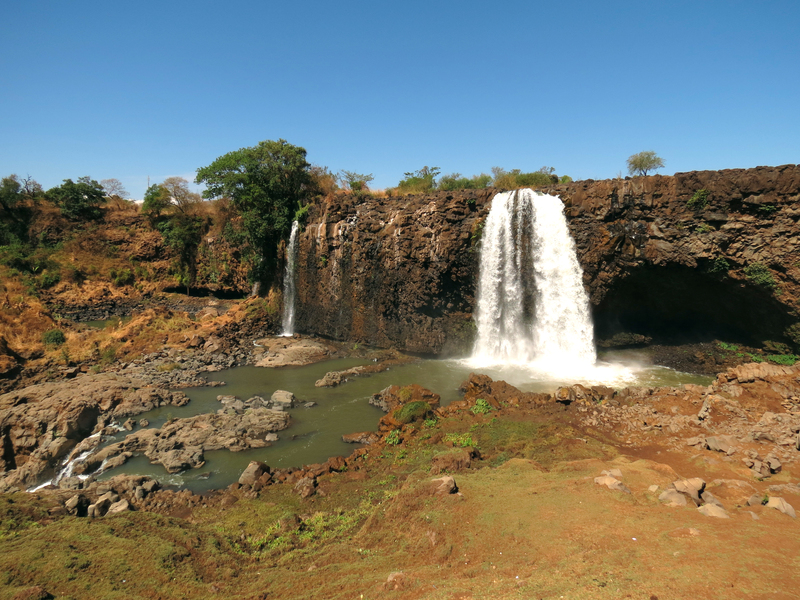 Completing the final segment of the northern historical route in Ethiopia, we spent a half day exploring the Blue Nile waterfall in Bahir Dar. 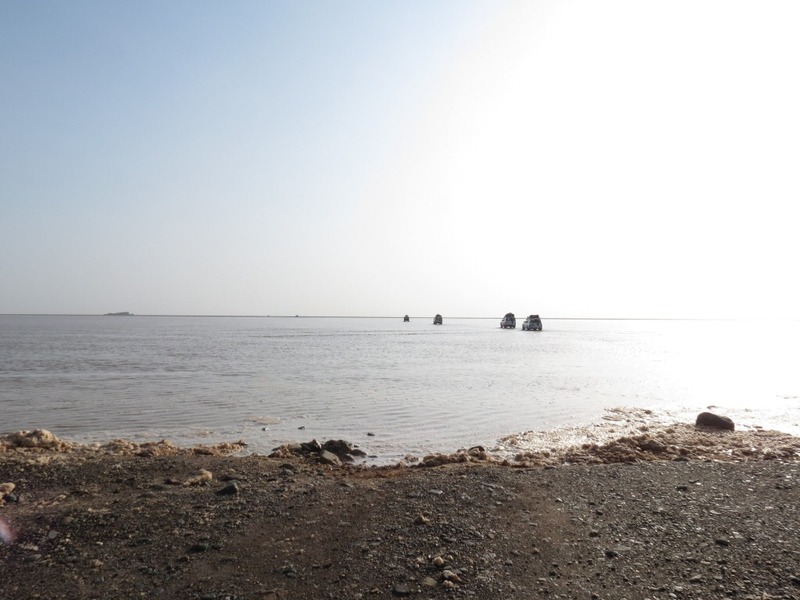 Having criss-crossed the Nile all the way up to the Sahara in Northern Sudan, we were blown away by the sight of the droplets escaping Lake Tana through the impressive Blue Nile waterfalls. These very droplets would eventually snake over 6,600 km to Cairo, blessing desert communities with their life-giving force before joining the azure waters of the Mediterranean. The tarmac would take us back through Addis, but we waited until Karkaro Beach at Lake Longano, on the main road south, before indulging in a couple of days of R&R. Despite appearances, the murky waters were great for swimming. The cool waters of Longano after the searing 50 degree temperatures of Sudan were an absolute treat. In Hawassa, roughly 400km from Addis there was a superb Italian restaurant called Venezia with some incredible Italian fare, served by an Italian who speaks no English. We don’t know how or why it exists, but highly recommend stopping by! 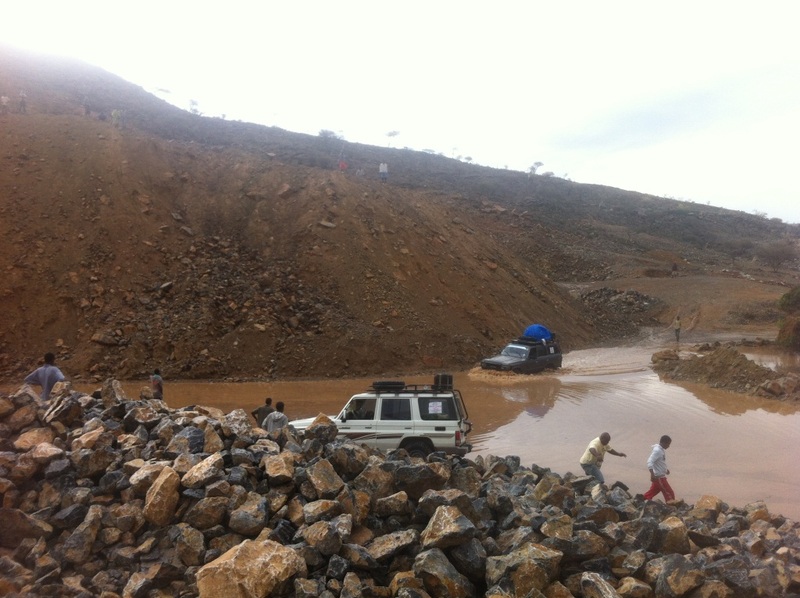 Dilla is a popular overnight spot on the road from Addis to Moyale. Avoid the Tourist Pension Hotel. 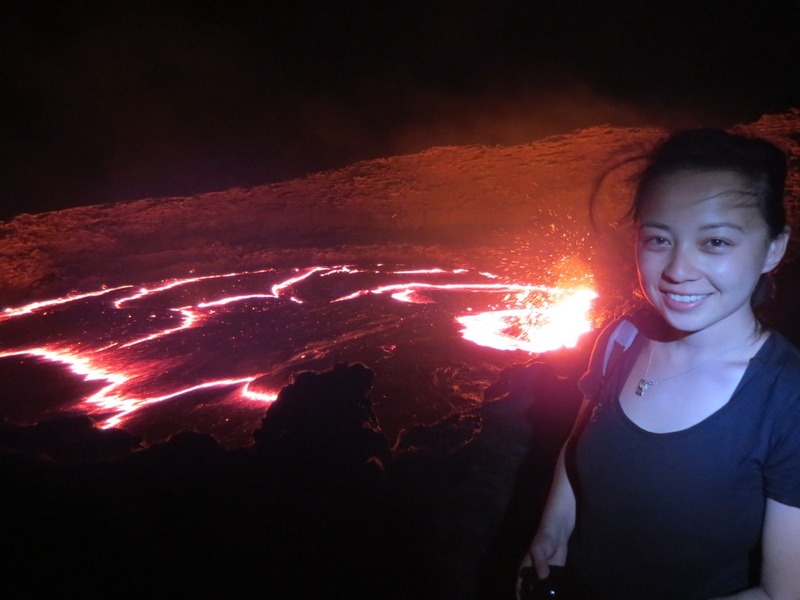 Despite all our travels and hardiness experienced travelling throughout the continent, this was one of the rare times yours truly got really squeamish. 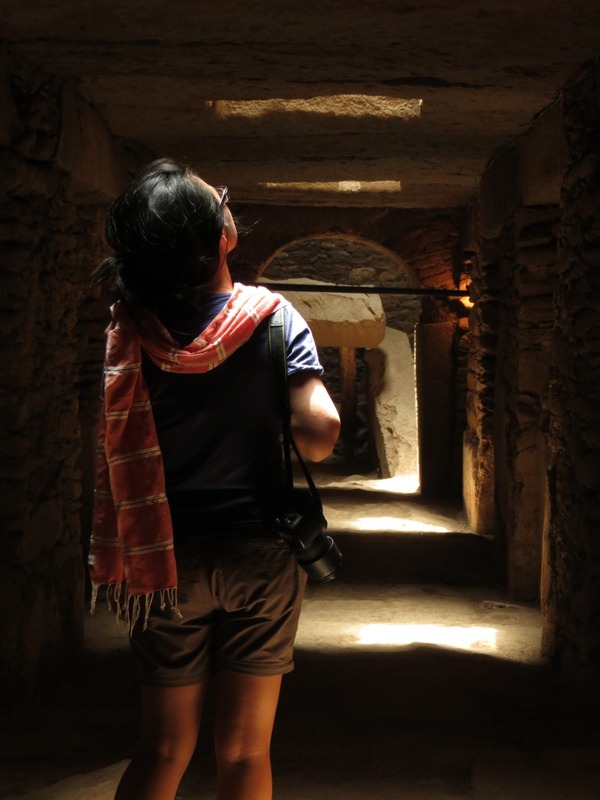 I had tucked in the mosquito net to shelter from the swarms of mosquitoes circling above. A small cockroach emerges on the bed – better sweep that away before Christine sees. Shortly after, a couple more emerge. Suddenly the wooden frame is covered in cockroaches. I flip out and back away from the cockroach infestation. Totally Gross. I run out screaming for my life. Instead of Dilla, we booked it out of there and drove a couple more hours to Hagere Maryam. We found a very new hotel that we think is in Hagere Maryam – the Mahlet Hotel. Unmissable on the main strip, modern and extremely comfortable. Thankfully, the road had dried up considerably for a lack of recent rain, and I was slightly disappointed by the lack of mud as we trundled our way through. Drama, however, was only just around the corner. Another 2 hours in we were caught by a locking left rear brake that completely immobilised the PPE. 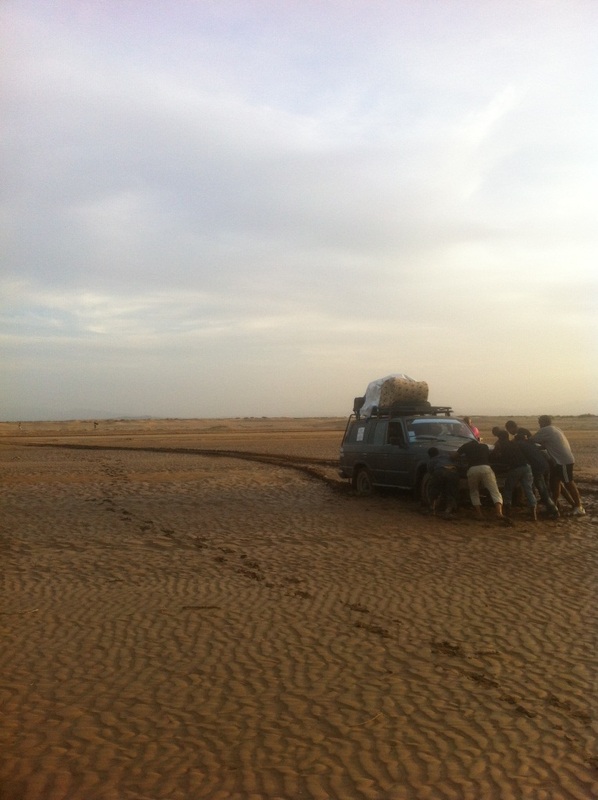 Luckily, a following World Vision driver helped us fashion an ‘African fix’ and we were once again on our way. 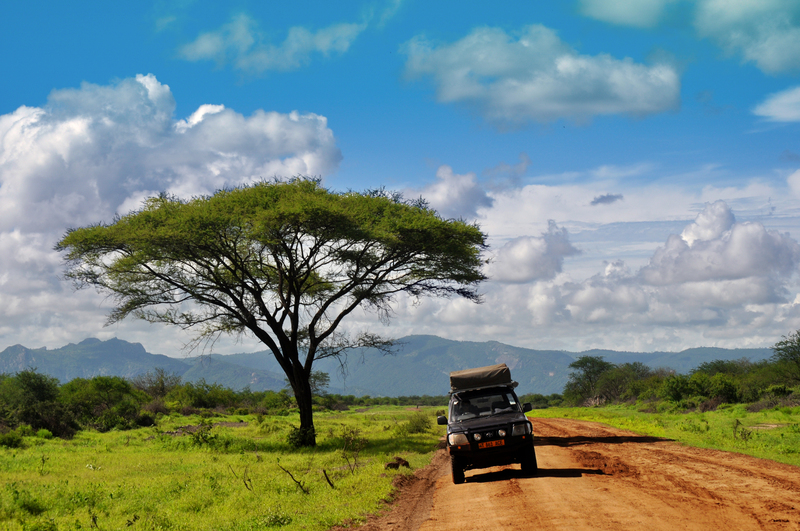 Far from the devastation we had expected, the Marsabit-Moyale drive was among the most spectacular of the entire trip. The flora and fauna were thriving from the recent rains and the green, blue, and dirt red contrasts will remain with us forever. In Marsabit we stayed at the Nomads Trail Hotel (nothing to write home about, but a decent breakfast after the peculiarities of Ethiopian breakfasts!) The new Chinese asphalt road from Nairobi is well and truly on its way North, and we stumbled upon it just outside of Isiolo. And just like that, another day later, we arrived back at our old haunt – Jungle Junction in Nairobi! It didn’t take us long, however, to hear about a recent robbery attempt only a week earlier, in which a wayward bullet grazed the eye of one of the dogs. The assailants fled after firing their only 3 bullets. A sobering welcome back to the dangers of the big city. 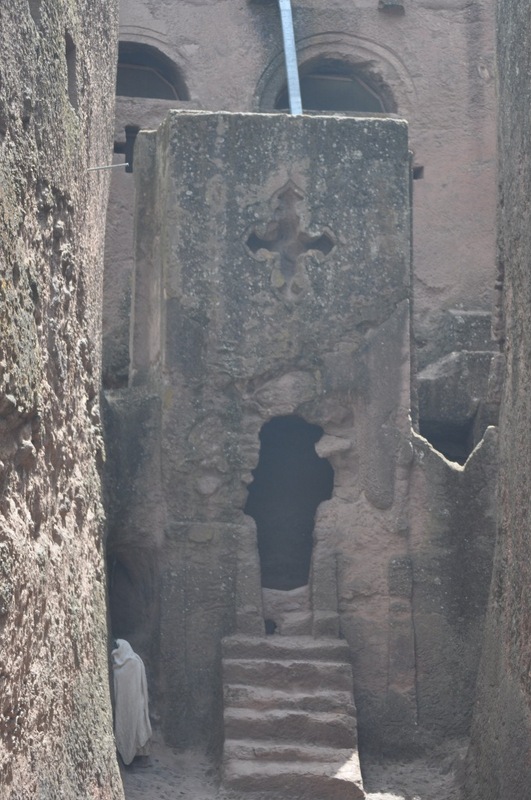 Given the Internet struggles, here is a belated post on our tour through historical Ethiopia — Lalibela, Tigrai, Axum, and Gondar. 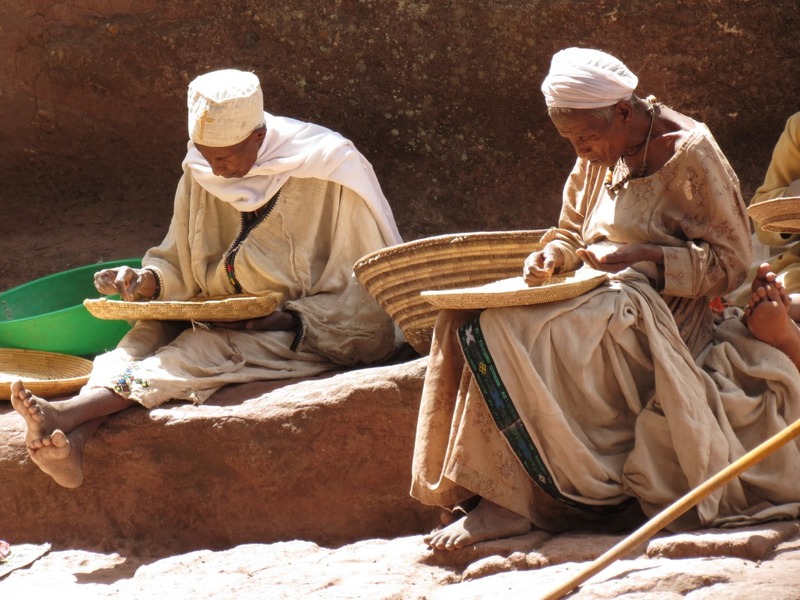 High in the Lasta mountains sits the ancient holy town of Lalibela. 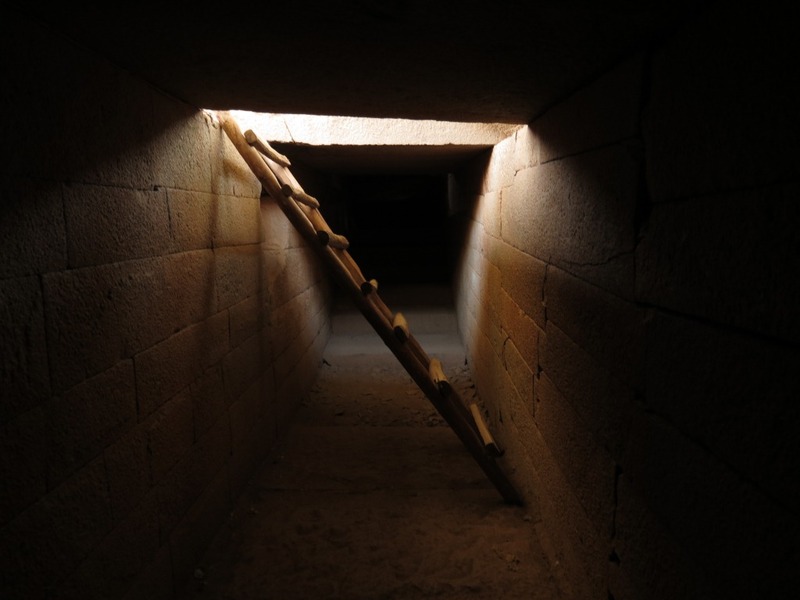 To get there is no easy task. The road from the closest town, Woldia, required slow driving on craggy terrain, and we had to stop our car every few hours to cool down the shocks. Once we arrived at this tucked away town, we searched around for a dinner and camp spot. After a few turns in town, we saw this magical place presiding over a cliff. Not only does Ben Abeba serve some great fare (shepherd’s pie was a nice change from shiro), but the setting is surreal. 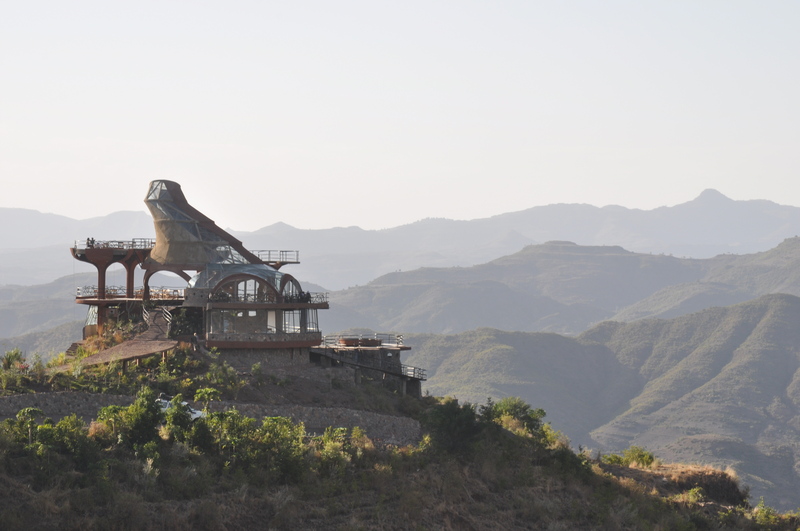 Designed and built by 2 local Ethiopian architects, it’s at once modern and also uniquely local, and looks akin to a “witch’s hat.” And the roof view over the Ethiopian highlands was the perfect backdrop for a celebratory beer at sunset. Partly because of the isolation, and partly because of a large devout following, the famous churches here are still active. Each morning, white robed worshippers glide into the chapels. When you enter the church sites, you can’t help but lower your voice down to a whisper amongst the praying priests and nuns. 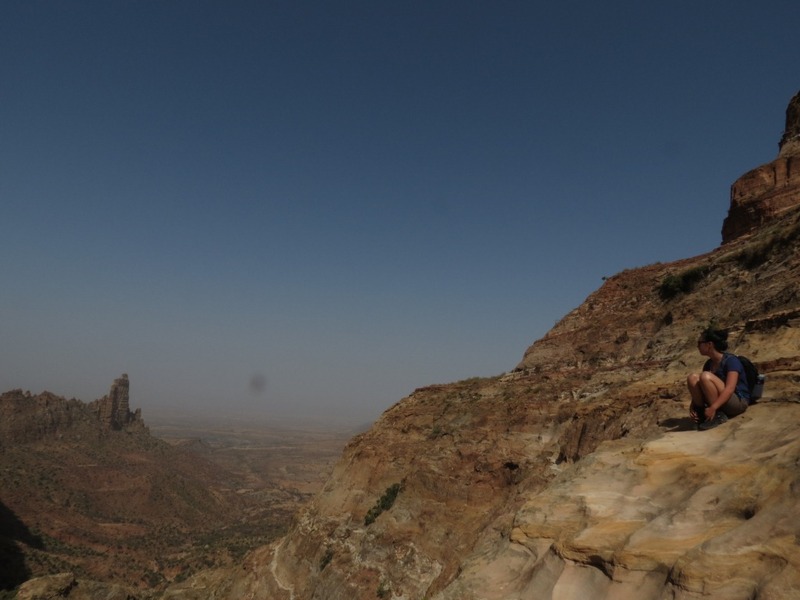 After Lalibela, we set our sights on Mekele, the northern Afar city from where all Danakil Depression tours are based. Sadly, the tour company we confirmed with showed up at our hotel, hands in pockets, to say our tour was cancelled. With Margot leaving just a few days later, we sought a back-up plan. 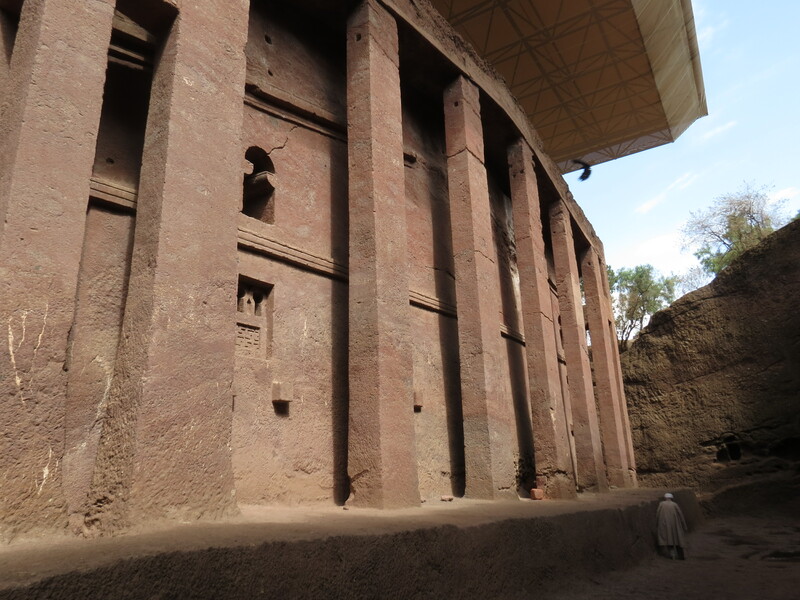 The rock-hewn churches in remote Tigrai sounded intriguing, and a day later we jetted off to Hawzien! 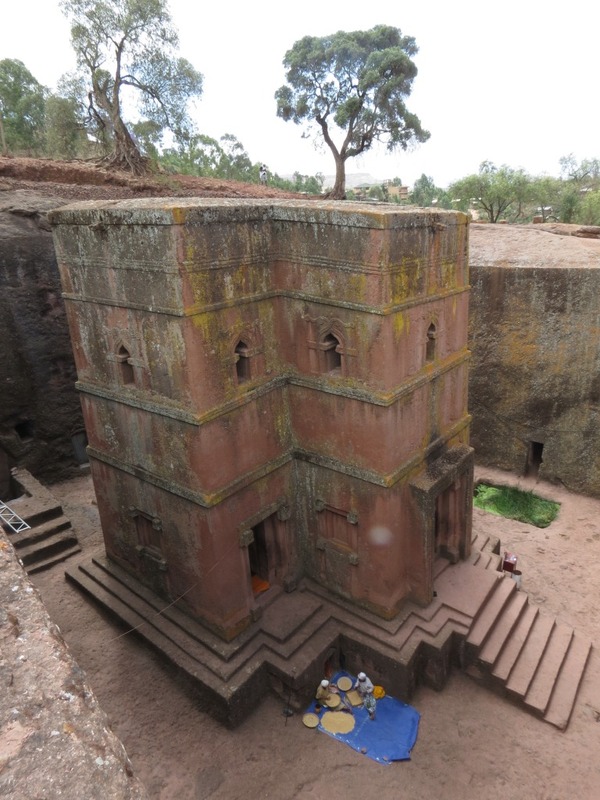 The first church on our itinerary was Debre Maryam Korkor, a reputedly 4th century monastic church 2,480m high and an hour’s hike away from the ground. 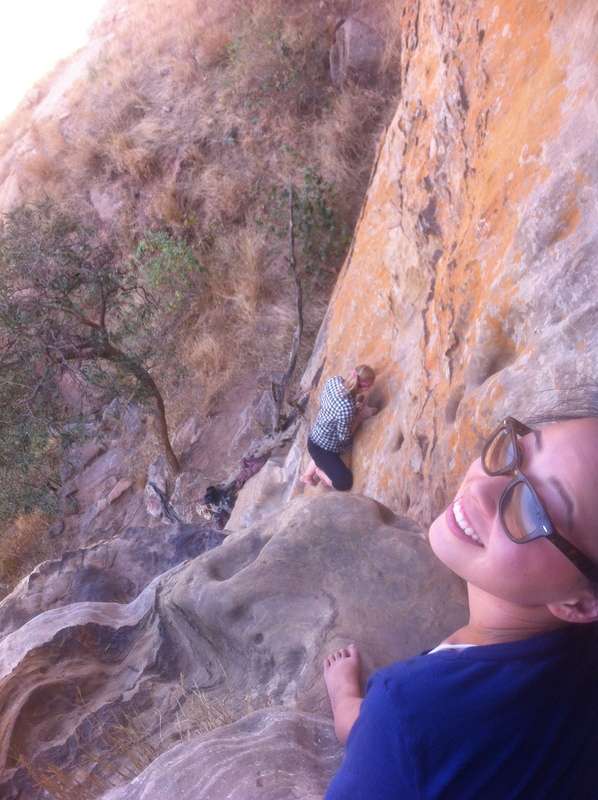 One notable part of the journey: a 60 degree rock face, where you scramble up with footholds and handgrips. Special thanks for my guide, Alex, who essentially hauled me up. 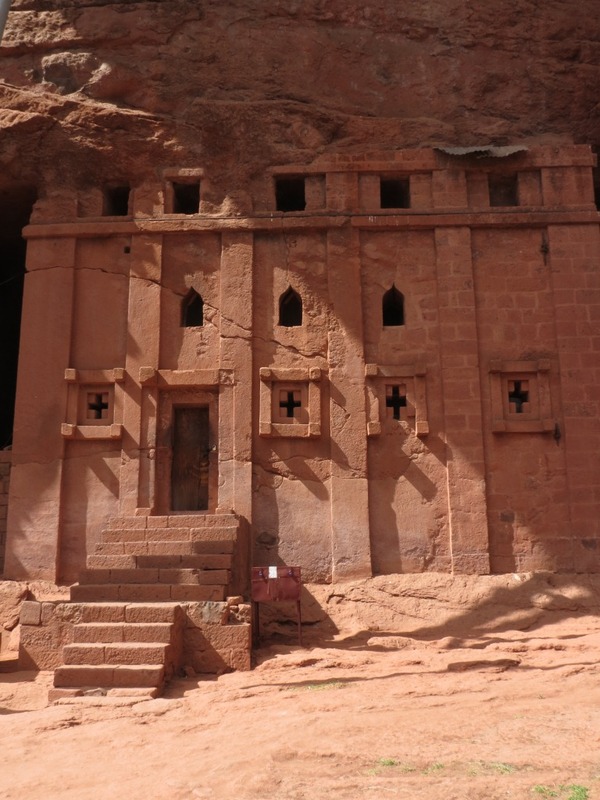 A short walk away from Debre Maryam Korkor is Debre Daniel Korkor, a small cave church with only two rooms with stunning views of the valley below. 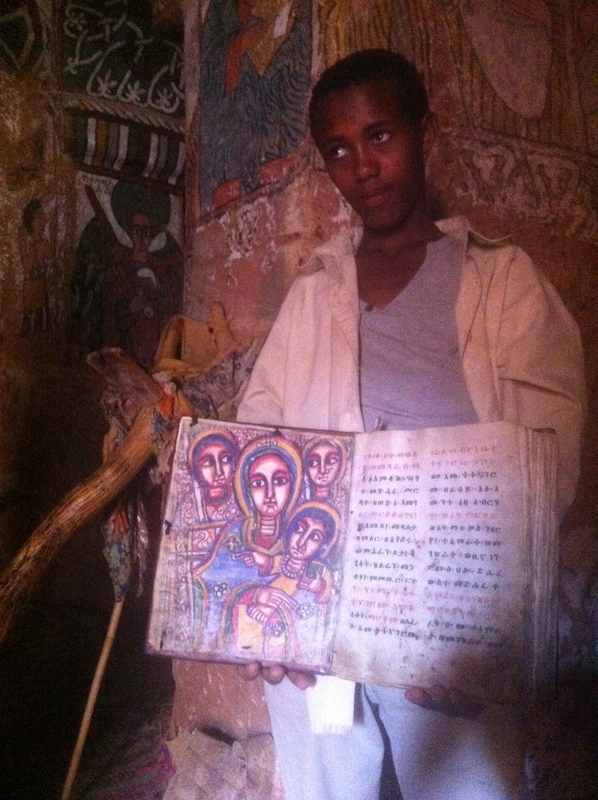 The real gem of the trip, however, was Abuna Yemata Guh. 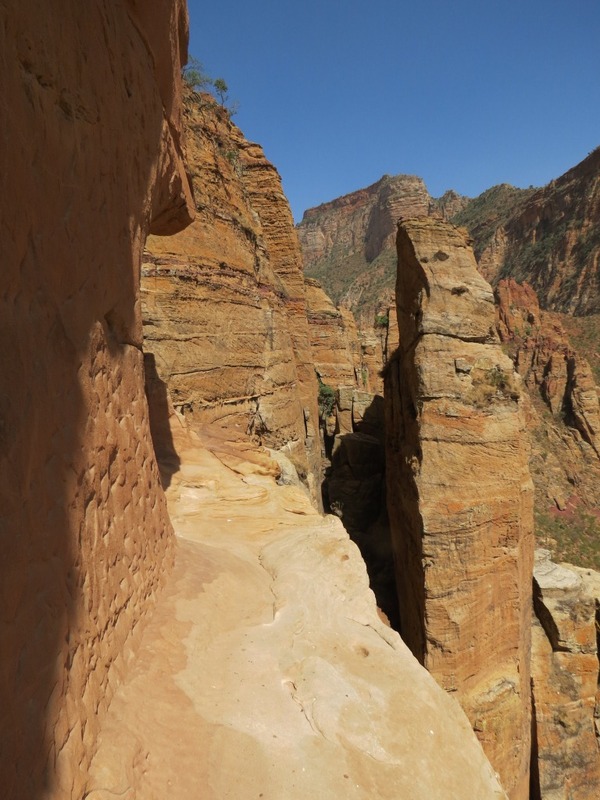 As Bradt guide describes, “the most spectacularly situated rock-hewn church anywhere.” The church is carved into the top of a rock pillar, maybe 2,000m high. After hiking for the better part of an hour, we reached a sheer rock face. 90 degrees straight up, and in some small parts, even more. The footholds and handgrips into the rock are irregular, and at times, bigger than my arm span. No ropes, no safety net, just the knowledge that if you freeze or slip, it’s straight down onto hard rock. But the rewards were more than worth the effort. 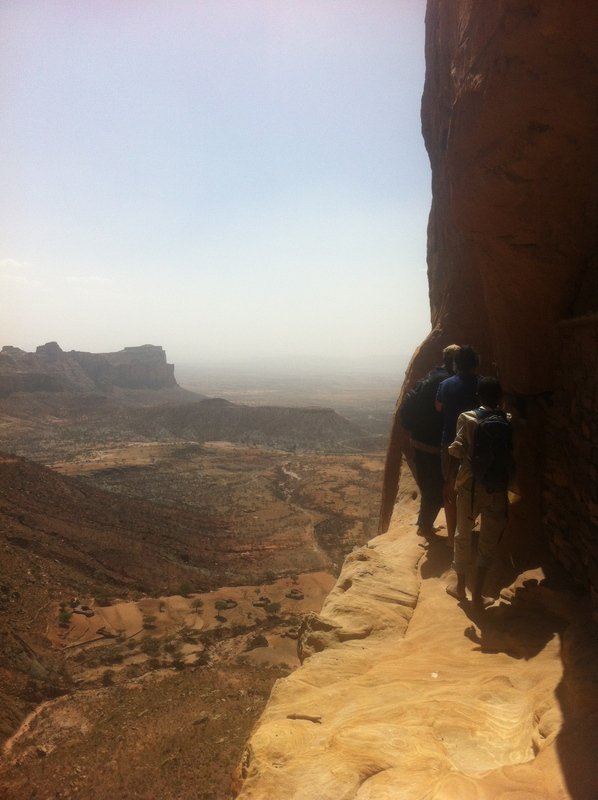 A rarely visited 4th century church, dangerously high and reachably only via a small crack in the rock pillar, Abuna Yemata is undoubtedly a highlight of our trip. 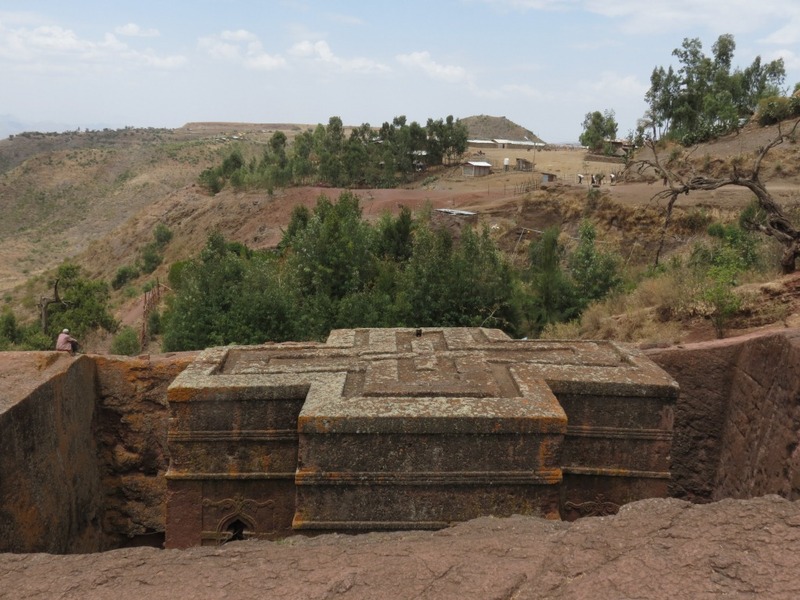 For the most ancient Ethiopian capital, and a holy city for the Ethiopian Orthodox church, Axum is a bit underwhelming at first glance. But the city is rich in history and steeped with legends of the Holy Grail. 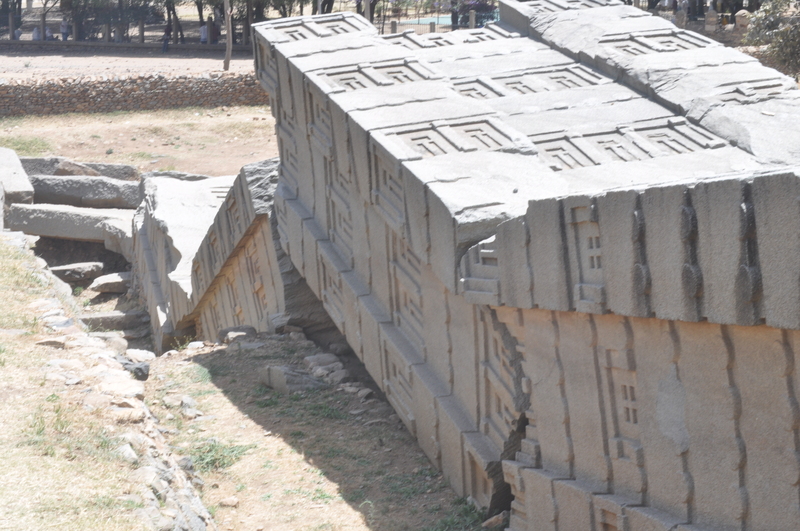 The Axum Museum is probably the best museum we’ve seen since South Africa, and houses a 700-year-old leather Bible, numerous rock tablets inscribed with Egyptian, Greek, and Ge’ez, and partially excavated tombs. The main stelae field, unmissable upon passing, consists of roughly 75 stelae erected over the tombs of kings and nobility. 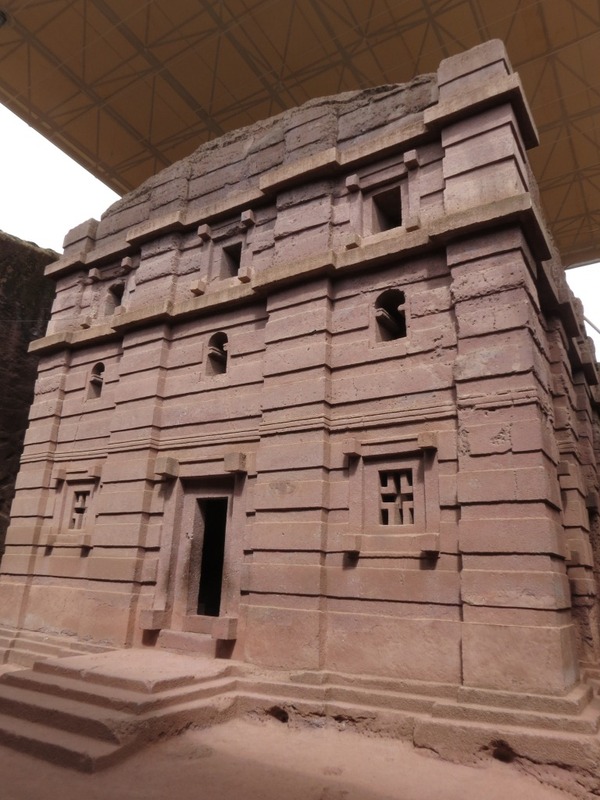 The highest, which would have been 33m high, lies where it fell soon after erected. 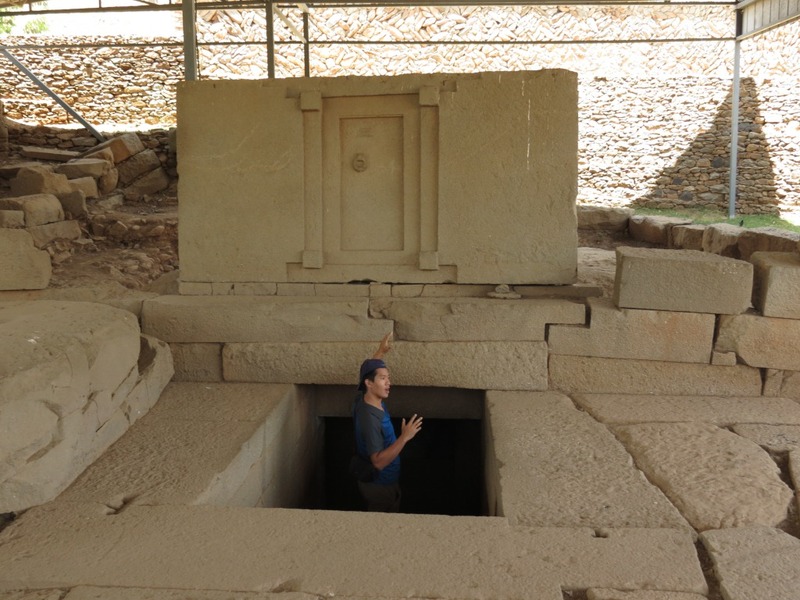 We were also free to explore the tombs and their underground vaults and burial chambers below. 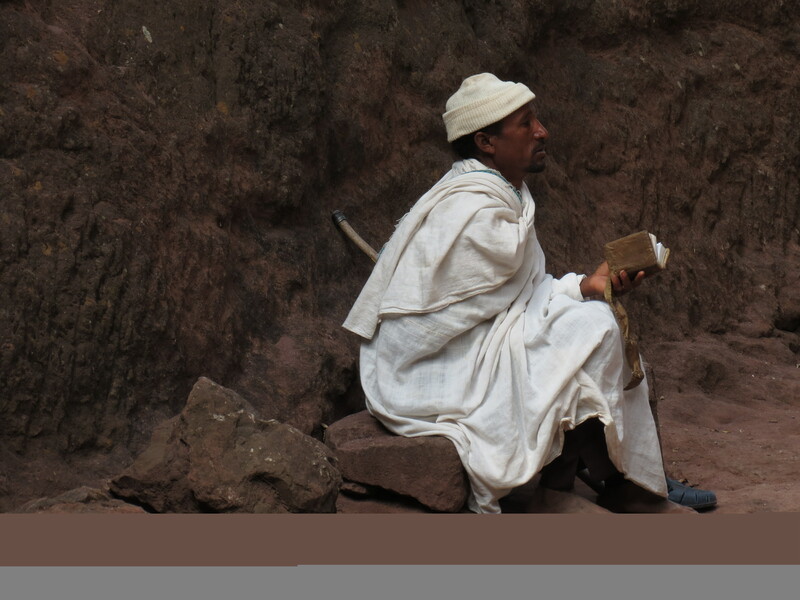 Given Eugene and I have spent time in Gondar last year on our trek through Simien Mountains, we didn’t stay long. After a quick pit stop for a bite and fuel fill-up, we were officially on our way to Sudan! Funny enough, it was exactly one year after we had joked about “turning right” at this sign when we visited the Simien Mountains in 2012, that we really did end up turning right. 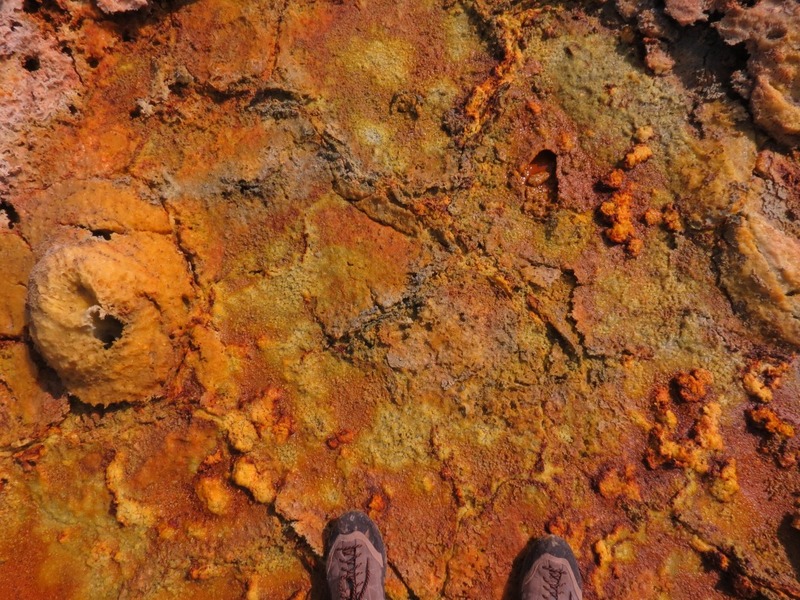 Sulfuric acid is bubbling up through the salt-encrusted ground. The daytime heat soars over 46 degrees Celsius and the Gara (Fire Wind) is blowing incessantly. 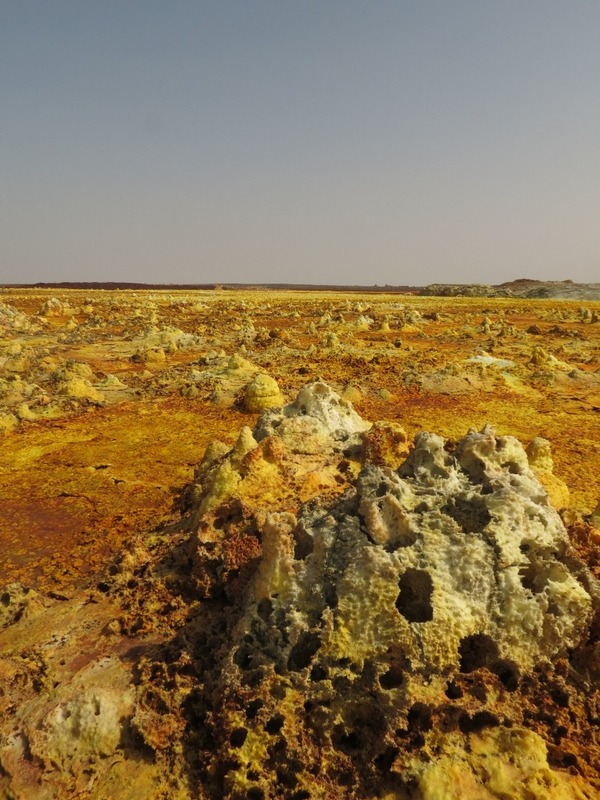 We’re in the Danakil Depression: -116m below sea level and officially, the hottest place on Earth. 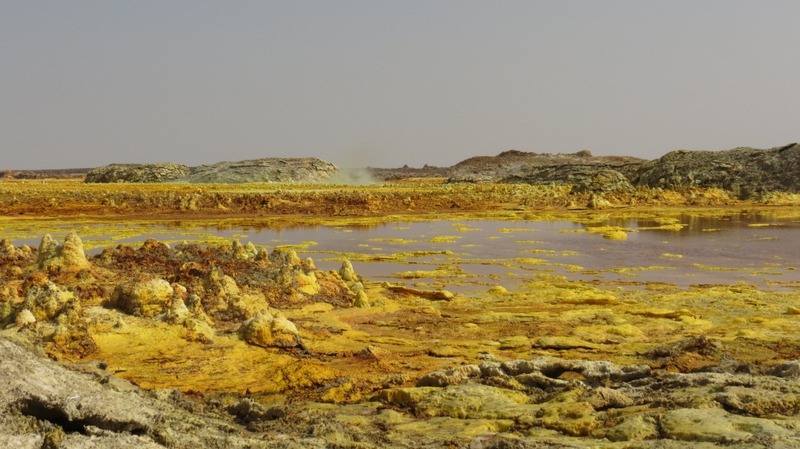 The Danakil straddles the Northern Ethiopian border with Eritrea, and sits atop the junction of the Arabian, African and Somali tectonic plates – all of which are pulling away from each other to form one of the world’s most volcanically active regions. Getting here is an ordeal in itself. 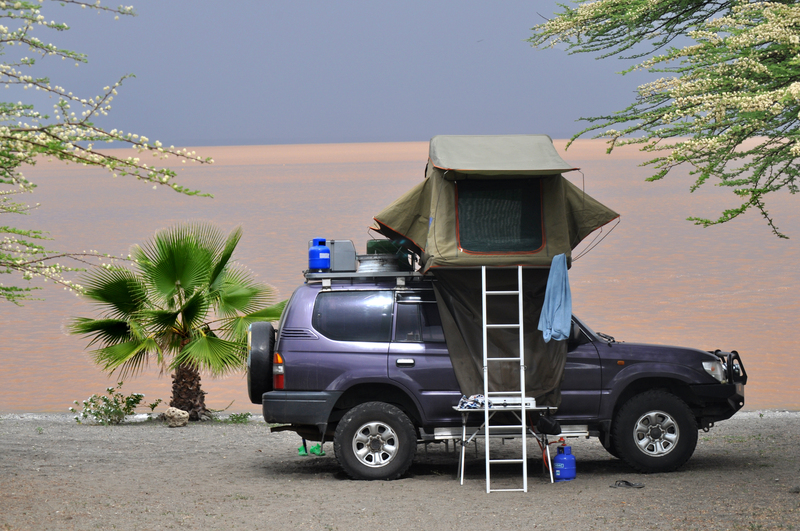 The area’s remoteness and rugged terrain requires a troupe of LandCruisers and a decent chunk of cash ($400-$600 depending on group size and bargaining ability) for a bare bones bush-camp tour (all that’s on offer). 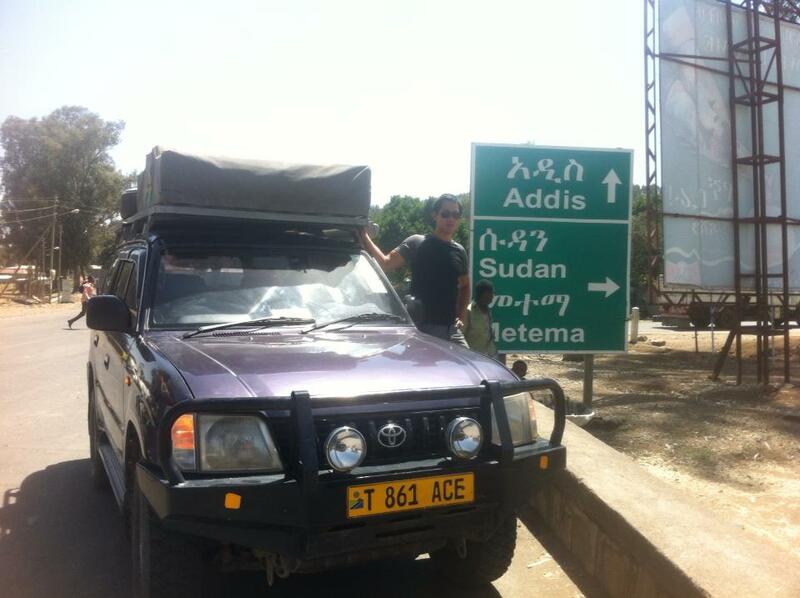 The roads are being built by the Ethiopian military to service the hostile border with Eritrea and are not complete. The workhorse Landcruisers are in their element; the tourist-grade personnel are not. We arrive battered and bruised at our first camp, wondering if anything we see over the next few days could have made it possibly worth it. Our first night we sleep completely unsheltered, under the stars. Our guides have rented some local Afar beds for us to sleep on, and for the first time in my life I watch the stars on their journeys throughout the night sky. The Fire Wind continues to blow and Christine attempts to block the wind by taking cover in her -7 degrees sleeping bag, only to find her back searing in insulated heat. I chuckle from my silk sleeping bag liner, gambling that the desert heat will not relent. I am wrong and wake frigidly cold. 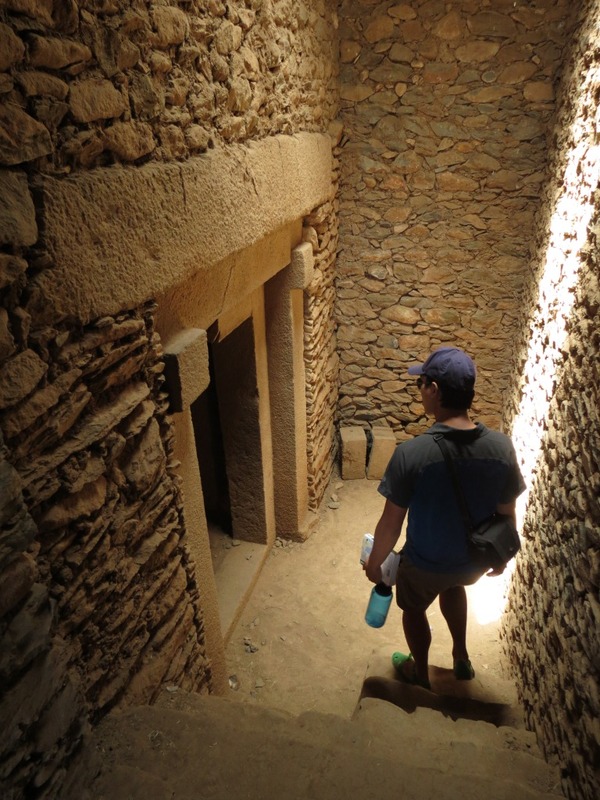 Our guides have us up early in a race to be back in our air-conditioned oases before the heat returns. 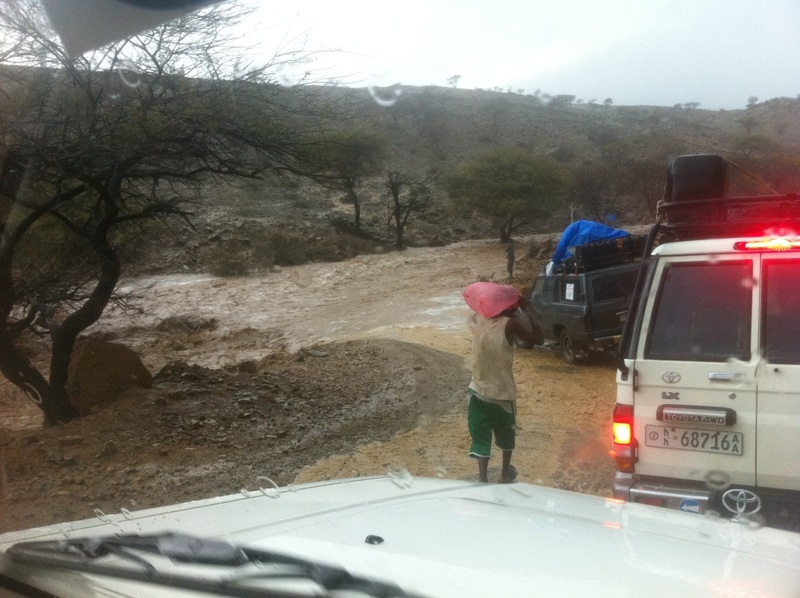 Over breakfast, we are notified that unseasonal rains have completely flooded some roads to Dollol. It might be tricky. 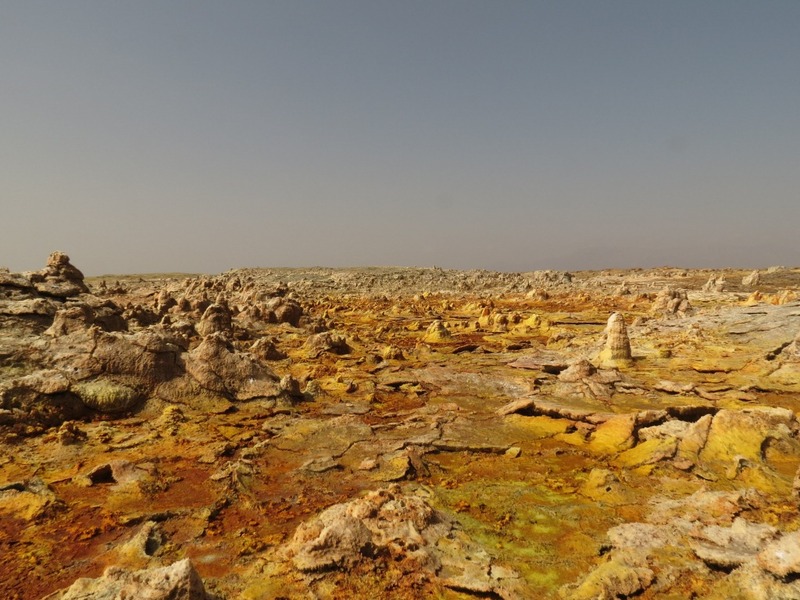 Even after seeing others’ pictures, nothing prepares you for the mind blowing spectacle that is Dollol, the lowest point in the Danakil Depression. 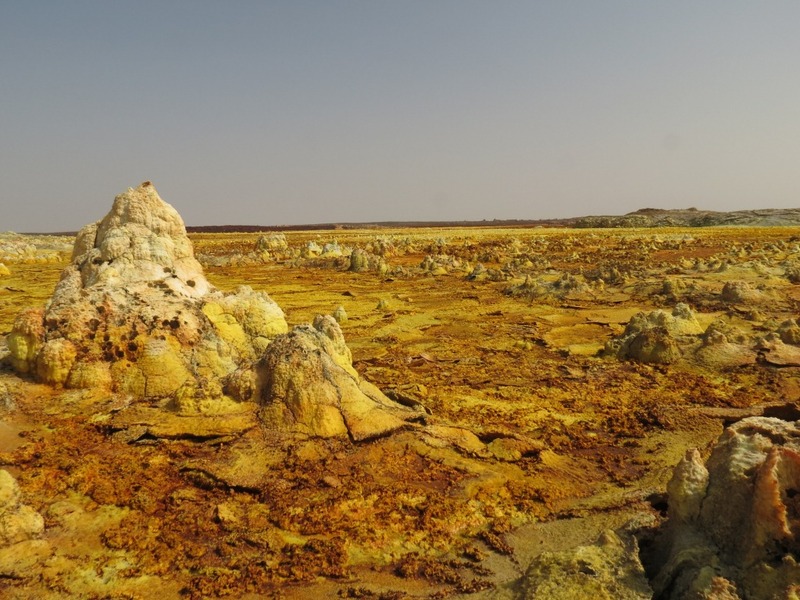 Sulfuric acid is bubbling up through the ground, creating stalagmite-like formations against a fluroescent yellow, green, and red back drop. It doesn’t even feel like Mars; perhaps somewhere even more inhospitable. It is stunning. 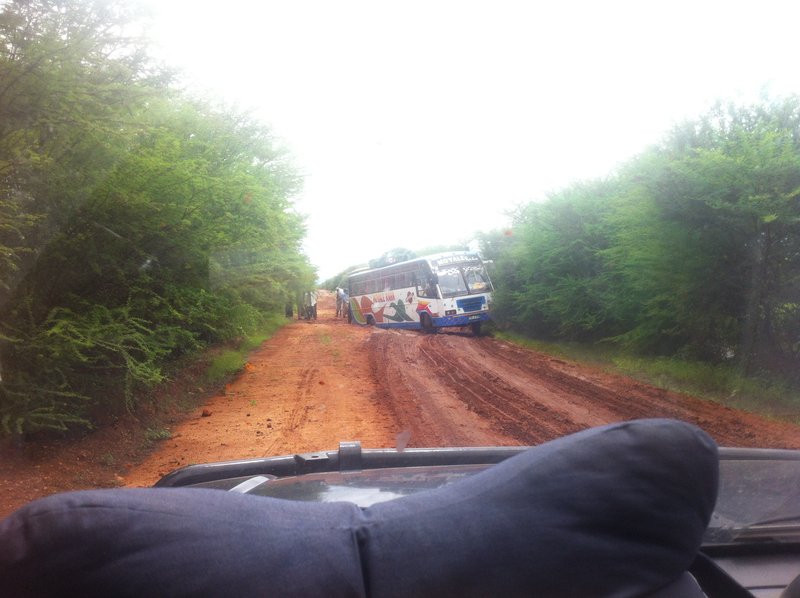 At Dollol our guides reveal that mud conditions have made the road to Erta Ale completely impassable. 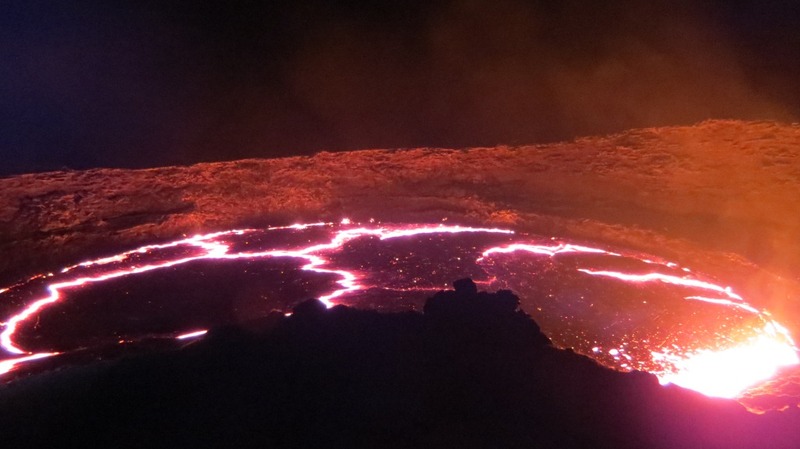 They decide to take a diverted road to the (relatively) nascent volcano back through Mekele. We follow the same painful road home and I remind myself time and time again how happy we are to have left the PPE at home for this adventure. The roads on the alternate route to Erta Ale from Mekele are more of the same brain shattering bumps that we have had over the last two days. 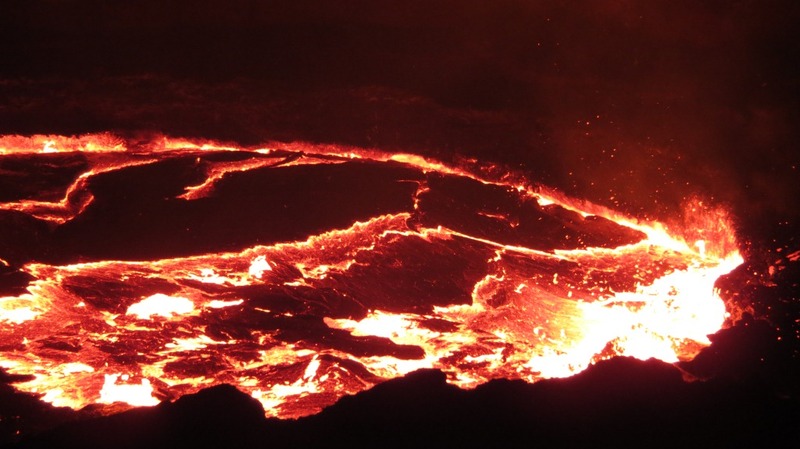 What awaits is a midnight ascent to one of the world’s five active lava lakes – lying in Erta Ale’s crater. 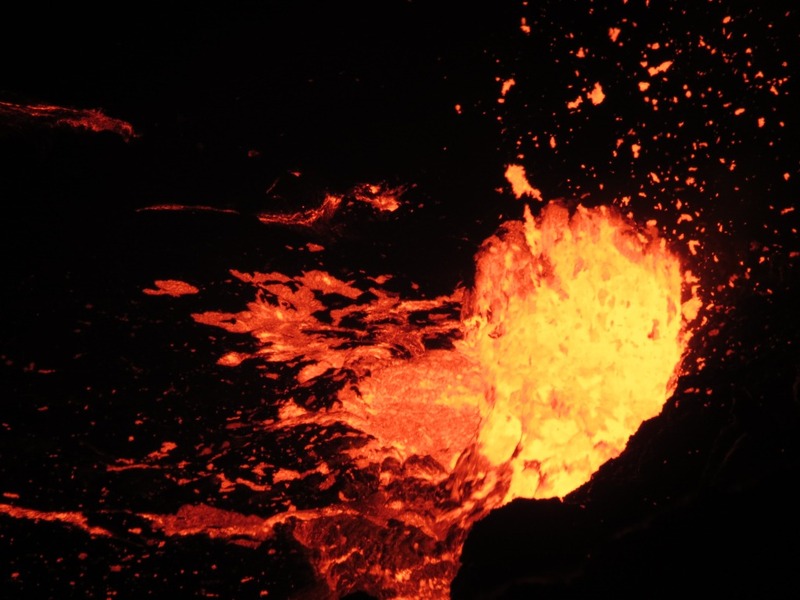 A relatively young volcano (having formed within the last 10,000 years), Erta Ale has been constantly active since records started in the 1960s. As the hours tick slowly by and we begin nearing our destination, the affects of the recent rains start to become evident as soft sands slowly turn into mud. 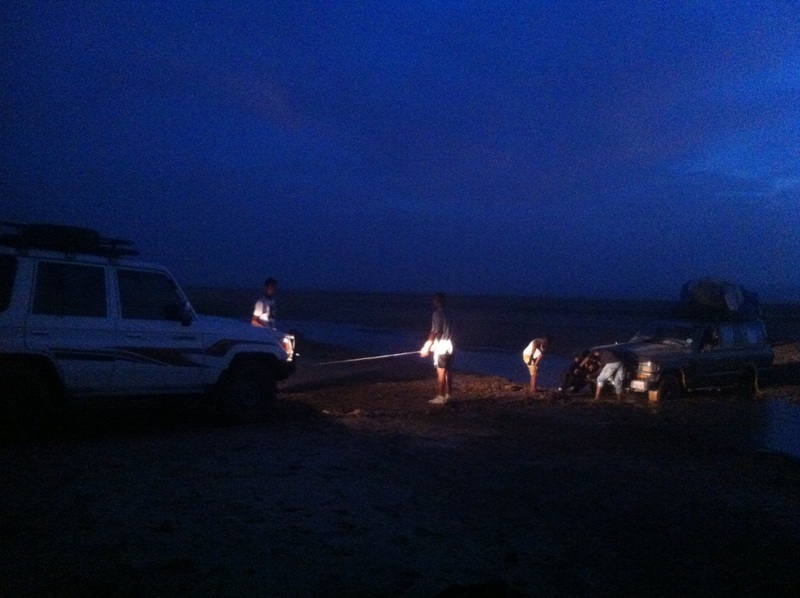 In rapidly fading light, vehicles in the group get caught by the mud one after another. We begin to wonder if we will make it to the volcano after all. At 7pm we are through the mud – and on to the toughest section of ‘road’ yet. The Landcruisers are hurtling over volcanic boulders as we hold on for dear life. At 7:15pm I glance up at the car’s clock praying for the end. At least another hour to go. After an 11 hour driving day, we reach base camp at Erta Ale and are prepared a quick dinner by the tour chef. At 10pm we begin our ascent. It feels fantastic to be finally out hiking in the open. Despite the late start time it is still extremely hot. Our guide follows a supposed ‘path’ in the moonlight and us faranjis struggle along with headlamps and hiking poles up the rocky volcanic path. At midnight we rest and are told another two hours to go. The group is struggling from exhaustion and the heat. It is certainly well past my bedtime – my eyes are getting heavy with sleep and I entertain the notion of a sleep walk. I decide against it. And just like that, out of nowhere, we enter a little thatched village. I peer out onto the horizon and our goal is in sight. I see a giant volcanic crater with an ominous red glow hovering over it. We are giddy with excitement and instantaneously re-energised for the final push to greet Erta Ale’s heart. We reach the lip of the crater and for the 2nd time in two days, my mind is completely blown. I stare down into the lava lake as the liquid Earth bubbles over and over itself, with frequent eruptions. My skin is reeling from the 1800 degree Celsius heat as I contemplate the most ominous looking sight I have ever encountered. It is pure, unadulterated, 100% evil. We are staring into the Earth’s core. We are staring into Hell. We stand mesmerised by the incredible sight for over two hours. 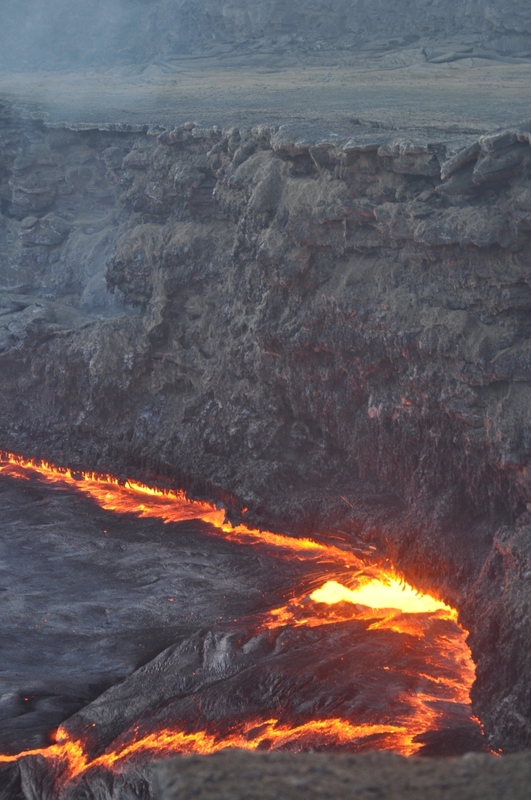 With every eruption, we watch the lava lake’s level rise and fall. 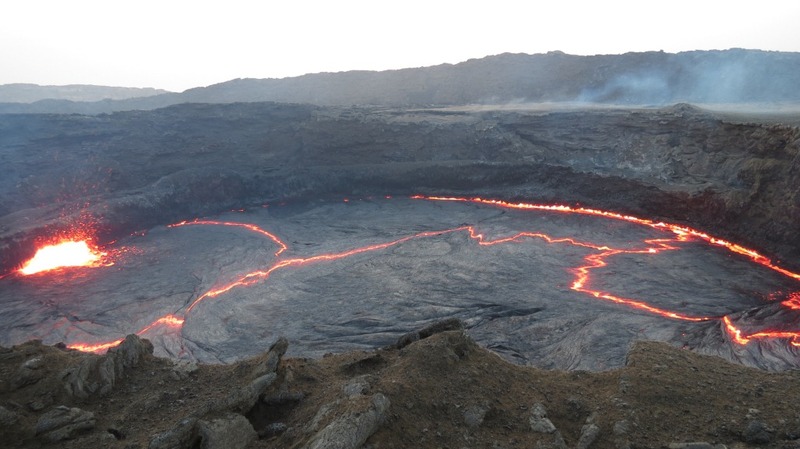 Two years ago the magma boiled completely over the crater, forming what we currently standing on. At 3am we head for our volcano top camp site for whatever sleep we can manage. We must be up at 530am to begin our ascent down. 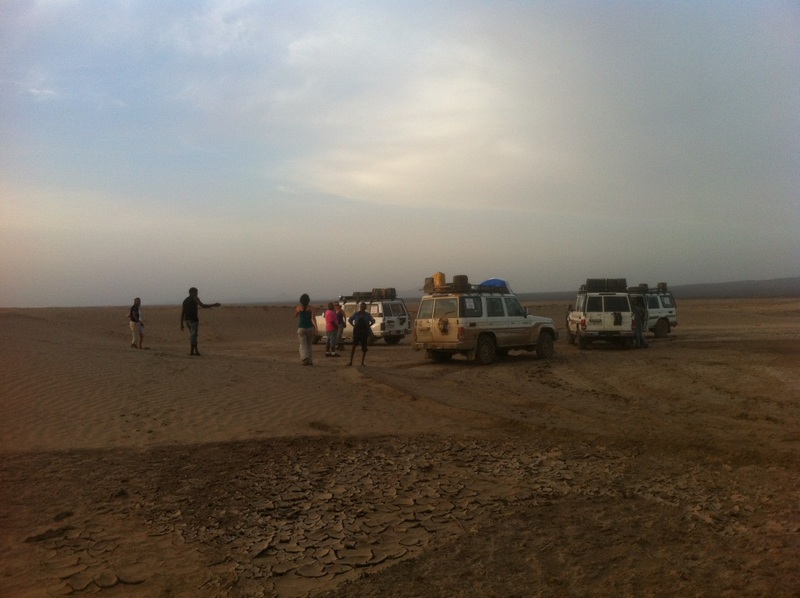 From base camp, the group stumbles back into the cars, utterly exhausted after the last 4 days on the road. We brace ourselves for Erta Ale’s final assault on our bodies as we are thrown around once more like rag dolls for another 4hrs. 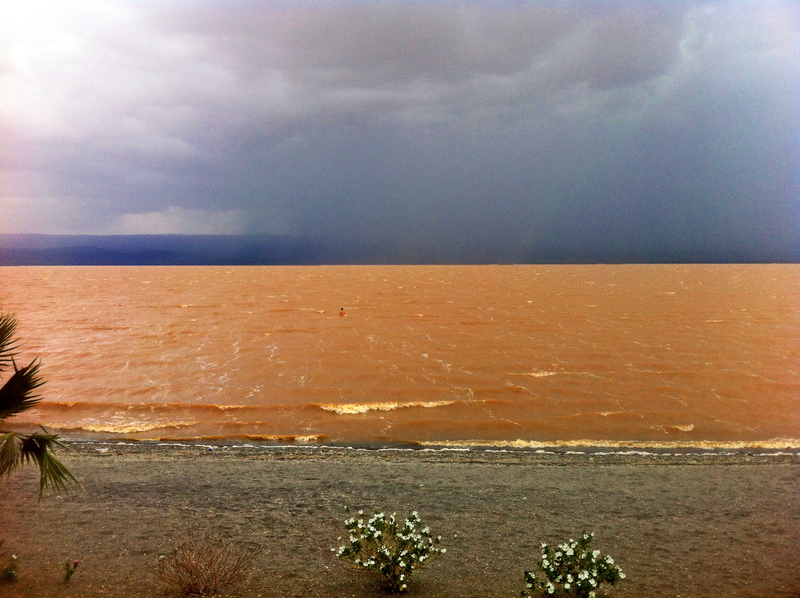 As we enter the mountains, climbing from Danakil’s Depths back up to Ethiopia’s Plateau, ominous clouds tell us this adventure is not quite over yet. 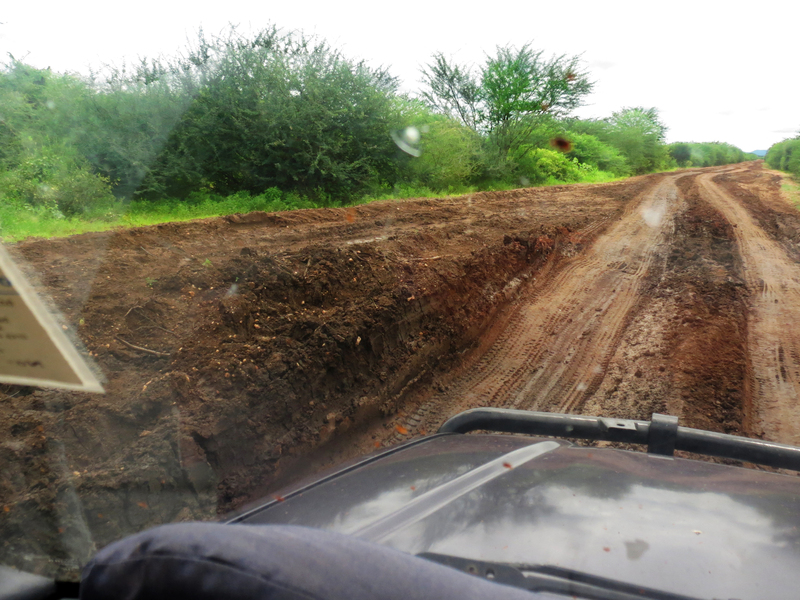 Thundering rains begin to hammer our car, and the road is turning into a muddy abyss. 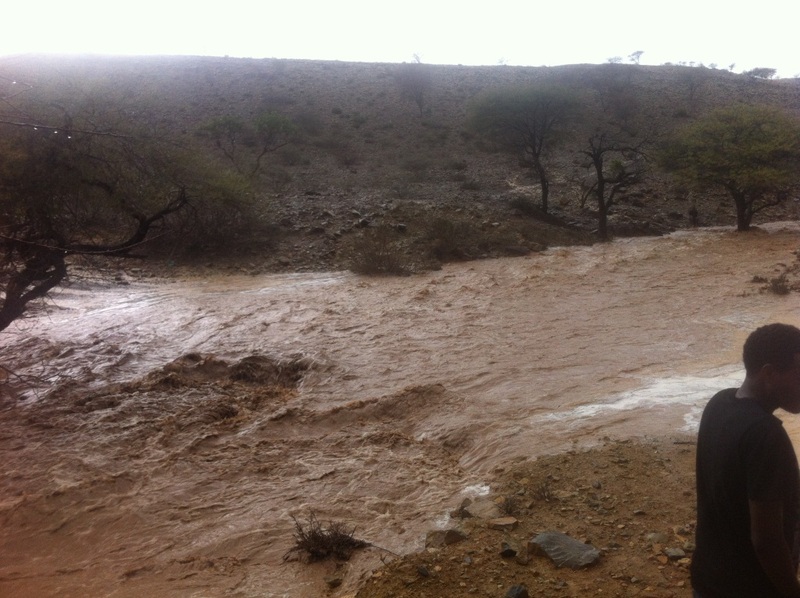 We round a corner only to be met with a savage flood river cutting off the road completely. Dead trees, caught in the tumult flash past our eyes. Our chef, in our lead car, decides to check the depth of the river and comes within inches of his life as he is swept straight through. The guides burst out in nervous laughter. We are not in a good place. Our only option is to wait it out and eventually, the river slows enough for the drivers to attempt a crossing. It will not be our last. 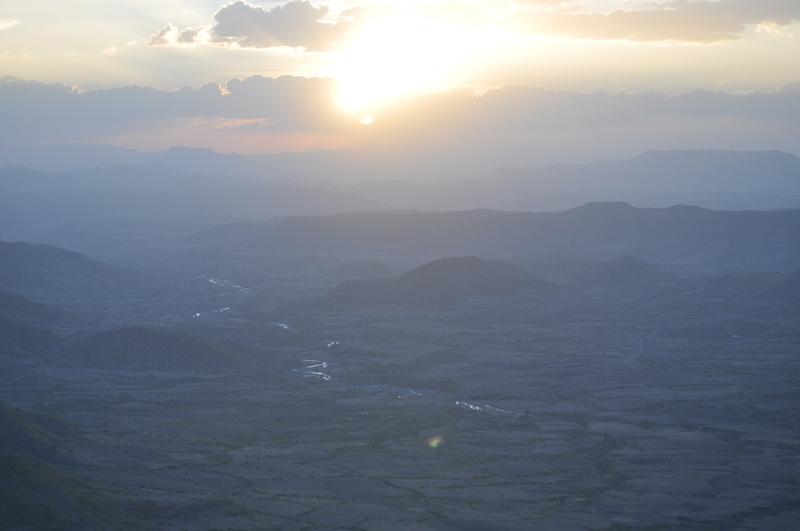 We arrive back into Mekele, shattered with exhaustion at 9pm. 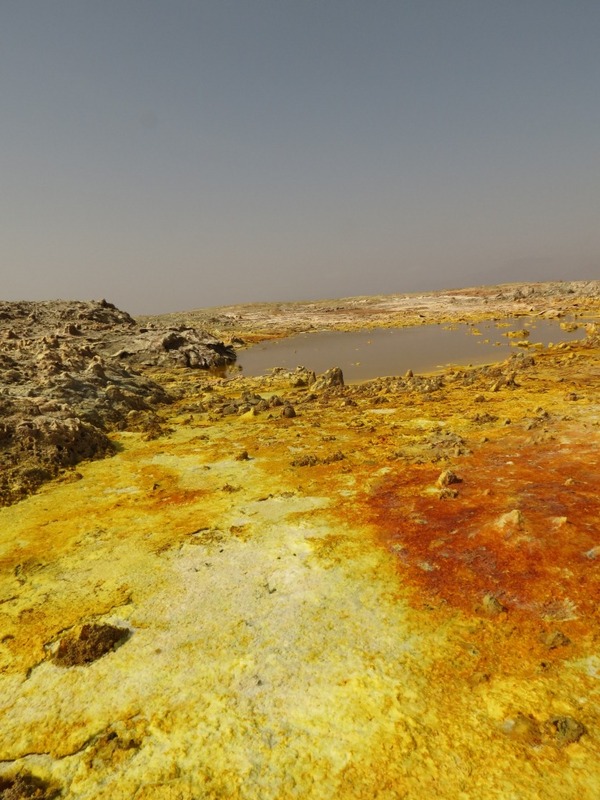 An incredible 4 days in the Danakil Depression.